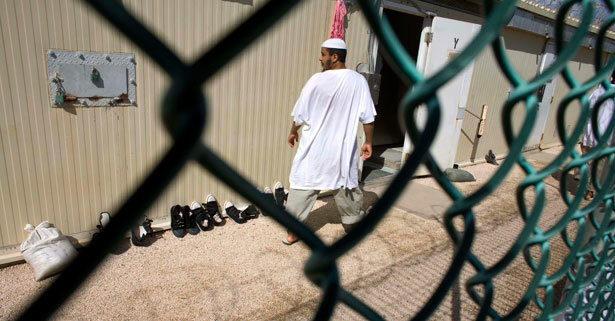 Before the Iraq War, there was Guantánamo, the AUMF, My Lai and more. What you don’t know can hurt you. Still, in our post-9/11 world, there are so many other anniversaries from hell whose silver linings don’t get noticed. Take this April. It will be the ninth anniversary of the widespread release of the now infamous photos of torture, abuse and humiliation from Abu Ghraib. In case you’ve forgotten, that was Saddam Hussein’s old prison where the US military taught the fallen Iraqi dictator a trick or two about the destruction of human beings. Shouldn’t there be an anniversary of some note there? I mean, how many cultures have turned dog collars (and the dogs that go with them), thumbs-up signs over dead bodies and a mockery of the crucified Christ into screensavers? Or to pick another not-to-be-missed anniversary that, strangely enough, goes uncelebrated here, consider the passage of the USA Patriot Act, that ten-letter acronym for “Uniting and Strengthening America by Providing Appropriate Tools Required to Intercept and Obstruct Terrorism.” This October 26 will be the eleventh anniversary of the hurried congressional vote on that 363-page (essentially unread) document filled with right-wing hobbyhorses and a range of provisions meant to curtail American liberties in the name of keeping us safe from terror. “Small government” Republicans and “big government” Democrats rushed to support it back then. It passed in the Senate in record time by 98-1, with only Russ Feingold in opposition, and in the House by 357-66—and so began the process of taking the oppressive powers of the American state into a new dimension. It would signal the launch of a world of ever-expanding American surveillance and secrecy (and it would be renewed by the Obama administration at its leisure in 2011). Or how about the eleventh anniversary on January 11th—like so many such moments, it passed unnoted—of the establishment of the Guantánamo Bay detention camp, that jewel in the crown of George W. Bush’s offshore Bermuda Triangle of injustice, with its indefinite detention of the innocent and the guilty without charges, its hunger strikes and abuses, and above all its remarkable ability to embed itself in our world and never go away? Given that, on much of the rest of the planet, Guantánamo is now an icon of the post-9/11 American way of life, on a par with Mickey Mouse and the Golden Arches, shouldn’t its anniversary be noted? Or to look ahead, consider a date of genuine consequence: the CIA’s first known assassination by drone, which took place in Yemen in 2002. This November will be the eleventh anniversary of that momentous act, which would embed “targeted killing” deep in the American way of war, and transform the president into an assassin-in-chief. It, too, will undoubtedly pass largely unnoticed, even if the global drone assassination campaigns it initiated may never rest in peace. And then, of course, there are the little anniversaries from hell that Americans could care less about—those that have to do with slaughter abroad. If you wanted to, you could organize these by the military services. As last year ended, for instance, no one marked the eleventh anniversary of the first Afghan wedding party to be wiped out by the US Air Force. (In late December 2001, a B-52 and two B-1B bombers, using precision-guided weapons, eradicated a village of celebrants in eastern Afghanistan; only two of 112 villagers reportedly survived.) Nor in May will anyone here mark the ninth anniversary of an American air strike that took out wedding celebrants in the western Iraqi desert near the Syrian border, killing more than 40 of them. When it comes to the Marines, here’s a question: Who, this November 19, will mark the eighth anniversary of the slaughter of 24 unarmed civilians, including children and the elderly, in the Iraqi village of Haditha for which, after a six-year investigation and military trials, not a single Marine spent a single day in prison? Or to focus for a moment on US Special Forces: will anyone on August 21 memorialize the 90 or so civilians, including perhaps 15 women and up to 60 children, killed in the Afghan village of Azizabad while attending a memorial service for a tribal leader who had reportedly been anti-Taliban? And not to leave out the rent-a-gun mercenaries who have been such a fixture of the post-9/11 era of American warfare, this September 16 will be the sixth anniversary of the moment when Blackwater guards for a convoy of US State Department vehicles sprayed Baghdad’s Nisour Square with bullets, evidently without provocation, killing 17 Iraqi civilians and wounding many more. Don’t for a moment think, though, that any little survey of known knowns and known unknowns could cover the totality of America’s unacknowledged anniversaries from hell. After all, there’s Rumsfeld’s third category, the “unknown unknowns.” In our advancing world of secrecy, with the National Security Complex and parts of the U.S. military increasingly operating in a post-legal America, shielded from whistleblowers and largely unaccountable to the rest of us or the courts, you can be guaranteed of one thing: there’s a secret history of the post-9/11 era that we simply don’t know about—yet. Call this last category “the unknown anniversaries.” We not only don’t know when they began, but even what they are. If such a show were made about the post-9/11 years, it might have to be called You Weren’t There. Our days, instead of being filled with “those events that alter and illuminate our times,” would be enshrouded in a penumbra of secrecy that could—as with Bradley Manning, CIA agent John Kiriakou or other whistleblowers—only be broken by those ready to spend years, or even a lifetime in prison. If the National Security Complex and the White House had their way, we Americans would be left to celebrate a heavily cleansed and censored version of our own recent history in which the anniversaries that should really matter would be squirreled away in the files of the state apparatus. There can be no question that a hidden history of our American moment is still waiting to be uncovered and written. And yet, despite the best efforts of the last two administrations, secrecy has its limits. We should already know more than enough to be horrified by the state of our American world. It should disturb us deeply that a government of, by, and for the war-makers, intelligence operatives, bureaucrats, privatizing mercenary corporations, surveillers, torturers and assassins is thriving in Washington. As for the people—that’s us—in these last years, we largely weren’t there, even as the very idea of a government of, by and for us bit the dust, and our leaders felt increasingly unconstrained when committing acts of shame in our name. So perhaps the last overlooked anniversary of these years might be the twelfth anniversary of American cowardice. You can choose the exact date yourself; anytime this fall will do. At that moment, Americans should feel free to celebrate a time when, for our “safety,” and in a state of anger and paralyzing fear, we gave up the democratic ghost. The CIA is down on the count but, as Robert Dreyfuss argues, can be fixed.